To many of us, Fall means one thing–football! 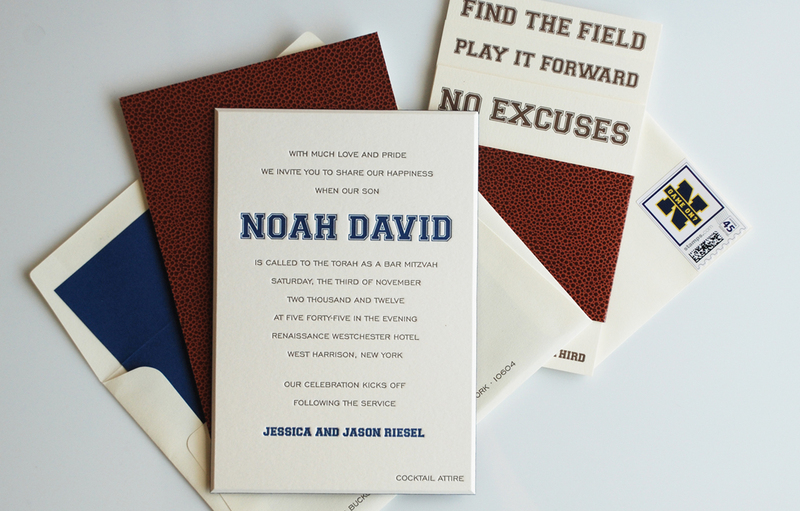 This perfectly timed football Bar Mitzvah invitation was produced with Precious Papers in New York. 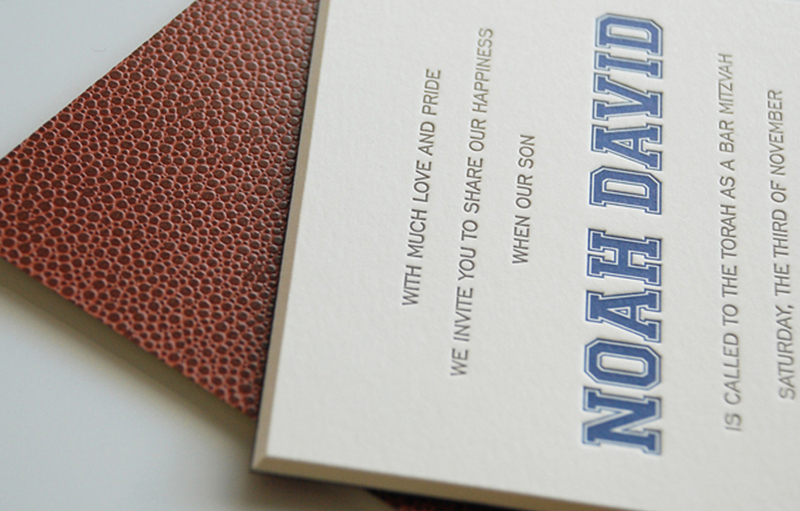 The invitation was letterpress printed in two colors, beveled, and backed with football textured paper. 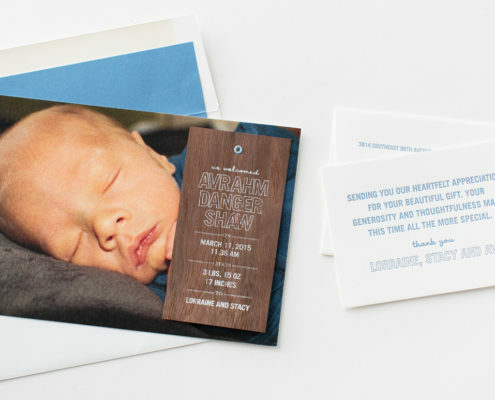 The staggered insert cards were wrapped in a football paper belly band to match. 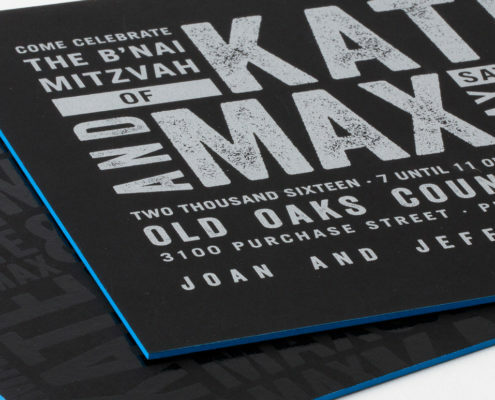 This look is classic, befitting a traditional Bar Mitzvah ceremony, but with a fun youthful touch that every 13-year-old football fan would love. 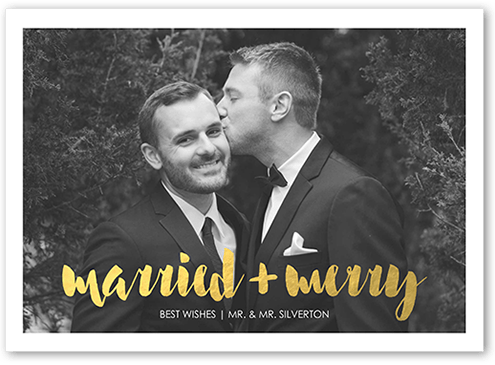 If you would like to know more about the invitation or want something similar, please contact us!